Durafib Outdoor Heated defibrillator cabinet with lock is manufactured from Polycarbonate (the same material as riot shields) this cabinet is virtually indestructible. We have tested this cabinet against baseball bats, hammers etc and its performance is unrivalled. 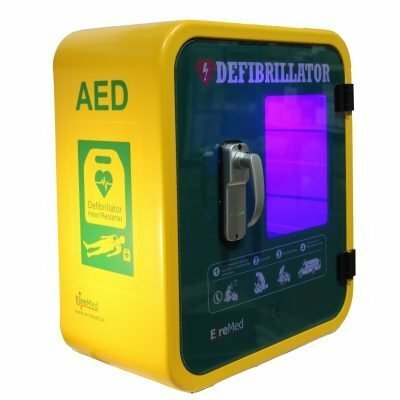 This cabinet is vandal resistant against the majority of implements and it’s hi visibility appearance raises its profile in the area making persons more aware of the existence of your AED. 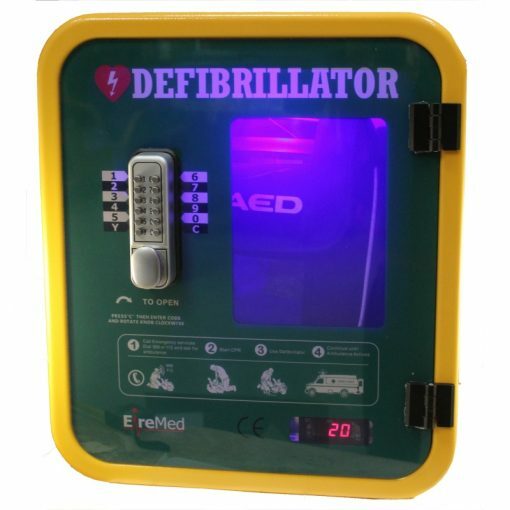 Mechanical Key Pad: Allows you to lock your AED cabinet if required and access it using the keypad. The lock does not require a power source. Any combination of digits can be used and set by the user. Remote Control Alarm: The cabinet features a remote control, contact alarm. When activated the alarm will sound when the cabinet is opened. 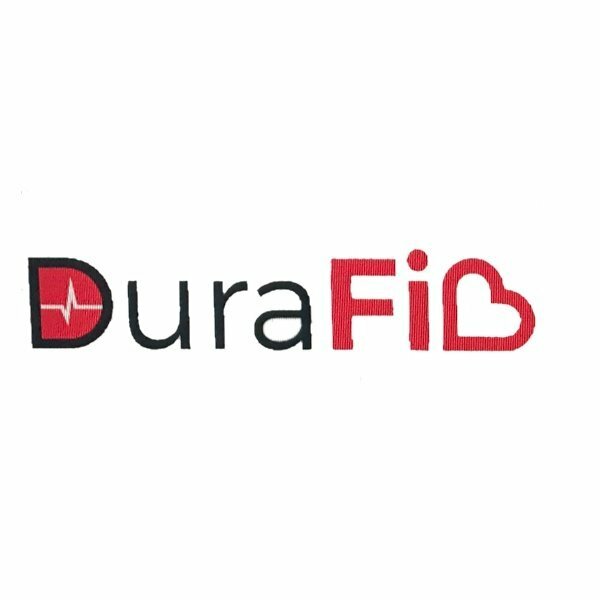 The alarm can be shut off prior to opening using the remote control when you are servicing your AED. 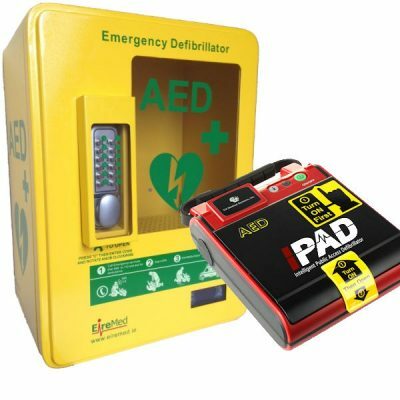 The alarm is mains powered and can be switched off if required. Alarm sounds at 120db and the remote control can be operated from up to 30 Meters. 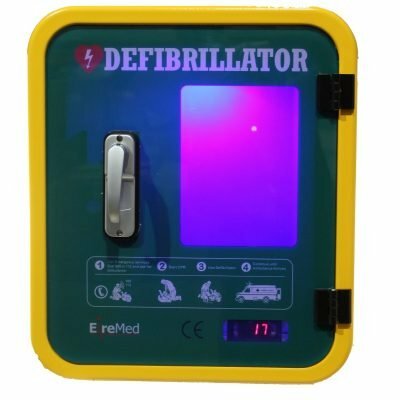 LED Lighting: Internal Blue LED Lighting illuminates your Defibrillator and adds to the overall appearance and profile of your AED. Power: Your AED cabinet operates from your mains 220v power. 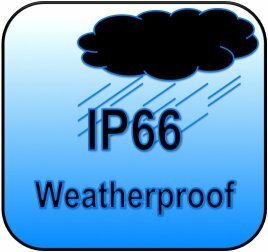 It is supplied with a UK 3 pin plug as standard. Your electrician will ensure that the cabinet is connected correctly to the mains power supply. All of the Cabinets Electrical Components operate on 12 V Power. The annual operating cost is approximately £2-£3 per annum. Locked. Left Unlocked. Heated. Left Unheated. Alarmed, Left un-alarmed. Illuminated or left un-illuminated. 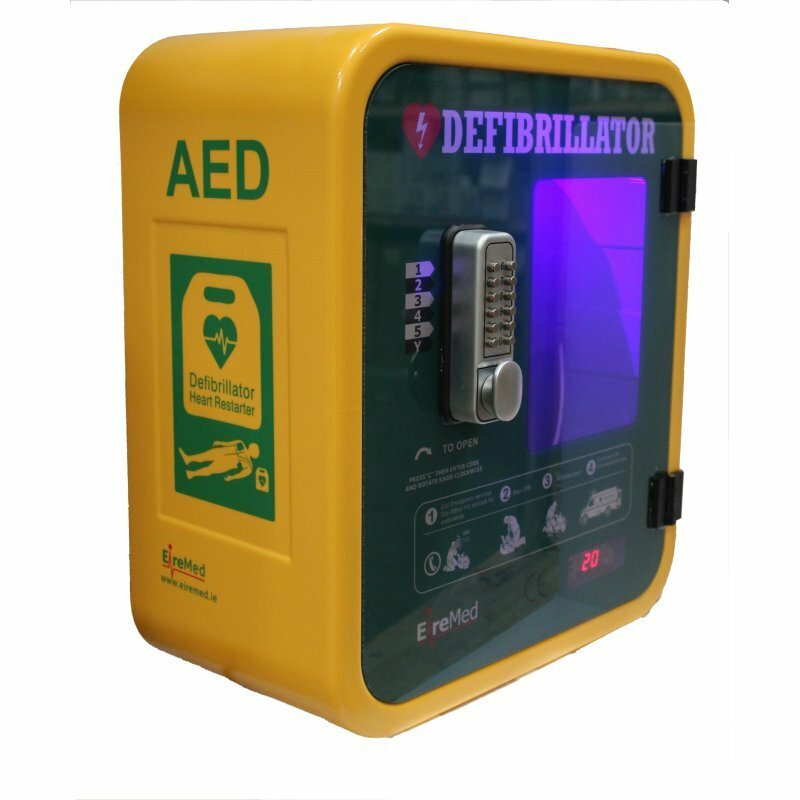 This gives you an unrivalled scope of options making this the most flexible, high quality AED cabinet on the world market today.